P.S. HE DIDN’T HAVE BLUE EYES THEN. THEY WERE HAZEL. There are several documentaries on the life of Mr. Sinatra containing images of Paramount, but always the same in all of them, and the song you hear him sing is “Night and Day”, but does not match the movement of his lips. Please let me say if you remember the songs we sang and if you know if there is any possibility to get the concert DVD. On YouTube there is a short documentary, but only images being accessed without sound audio. Following my morning classes at Peter Stuyvesant High Scool on 14 th Street, I took the subway to 42 nd Street for my usual attendance at the Paramount. The bobby soxers were lined up to attend. 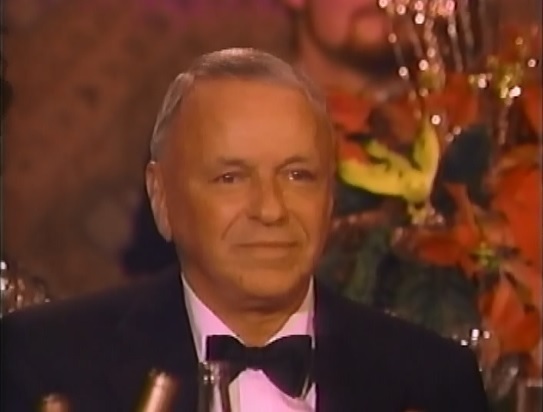 I tought, ” who is this person, Frank Sinatra” ?. When I entered the theatre I immediately went up the fire exit staiway, across the top and down to the fire exit door, allowing me to get front row…my usual way to avoid standing in line. Following Frank’s performance he looked down at the soxers and said ” you have been here all day, Aren’t your families concerned and aren’t you hungry? The unified response was that he was loved and they wanted to stay. Frank sang some more songs and came back with a tray of milk and sandwiches . As he reached down from the stage I picked a container of milk and a sandwich. This has been one of the most memorable moments of my life. I have an 87 yr old friend that wishes to know the name of the female opening singer at frank sinatras concerts at the paramount. She was one of the bobbysoxers and has many happy memories of going to his concerts. I have tried to do searches for her to find out names but have been unsuccessful. THE SINGER WAS EILEEN BARTON – I SAW MANY, MANY SHOWS…THEY WERE ALL SENSATIONAL…. Wonderful read. Did Frank ever sing at our Brooklyn Paramount? Have searched in vain to answer this question always asked me as the archivist of the theatre now about to restored. I read he sang with Dorsey at the Rosemount, our borough’s Roseland. HELP, Thanks in advance. Does anyone know if Frank Sinatra sang for the silent film “It” starring Clara Bow at The Paramount Theater? My great aunt was a dancer for the show and I am looking for more info. Thank you! Frank won a radio contest and a contract resulted. Does any one know who the contestants were?